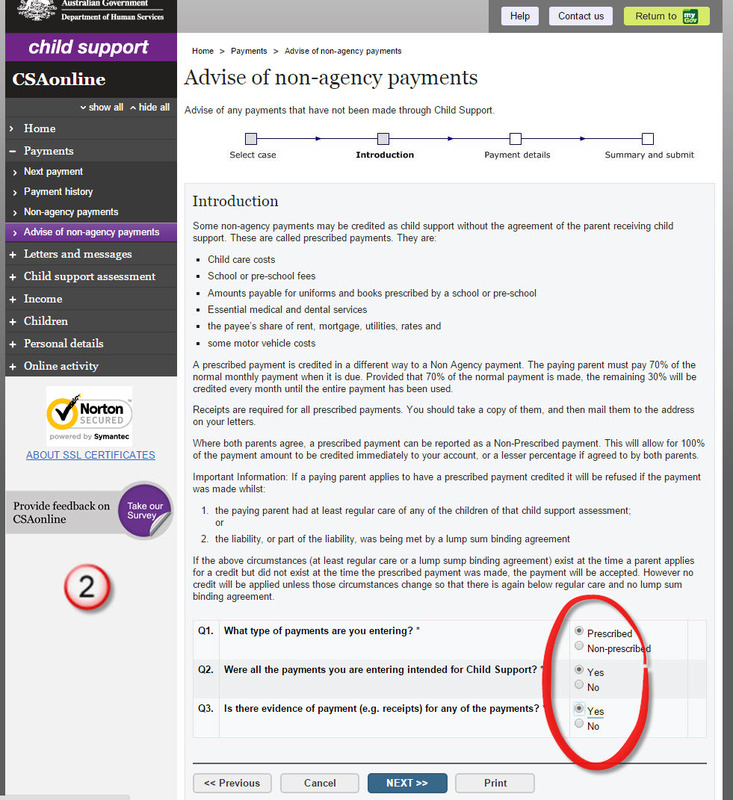 In my blog site at the Family Law Web Guide I wrote recently on the confusion surrounding what ‘other’ payments can be accepted by Child Support where a payer (usually a father) is paying child support to a payee (usually a mother) and where the payee does not agree that the payment made by the payer is for the support of the child(ren) or in other words… is paid as child support. Where parents agree there is no problem and anything is possible. HOWEVER in the main most people when it comes to money matters don’t agree. Certainly those that are separating and come to the Family Law Web Guide often never agree that the sun has risen on a new day and so it is with Child Support. 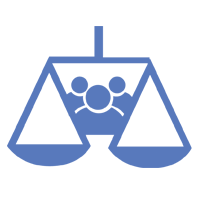 -the liability is not a parentage overpayment order or spousal and de facto maintenance order (section 71C(5)(a)), or a registrable overseas maintenance liability (section 71C(6)). 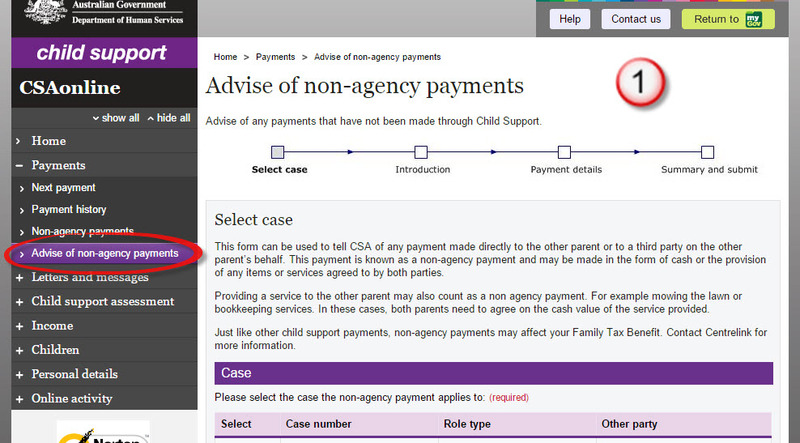 -the child support liability is not already being met by a lump sum credit. –the costs to the payee of obtaining and running a motor vehicle, including repairs and standing costs. 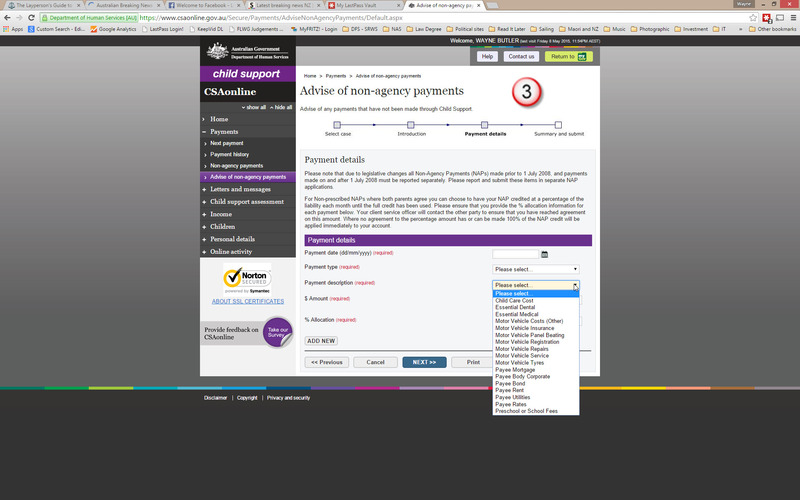 Just to finish off here are some screen shots from the Prescribed non-agency payments to help navigate your way in making applications. Qualified lawyer who has been delegated power to perform certain tasks; for example, grant divorces, sign consent orders and decide the next step in a case.